Foo Fighters frontman Dave Grohl will challenge Animal to a drum-off on the December 1 broadcast of ABC-TV’s prime time series The Muppets. Entitled “Going, Going, Gonzo”, the episode will see Gonzo gearing up to perform his dream stunt while guest star Joseph Gordon-Levitt joins the gang for poker night. 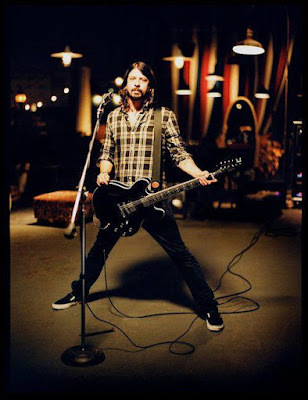 Grohl and the Foo Fighters cancelled the remaining dates on their European tour in support of “Sonic Highways” following the terrorist attacks in Paris on Friday. “It is with profound sadness and heartfelt concern for everyone in Paris that we have been forced to announce the cancellation of the rest of our tour,” said the group. “In light of this senseless violence, the closing of borders, and international mourning, we can't continue right now. The cancellation affects the final four dates of the run, including shows in Italy, Spain and two in France - Paris on November 16 and Lyon on November 17.